How Do Ways of Thinking Change Through Time and Space? British anthropologist Jack Goody posed this question in ‘The Domestication of the Savage Mind’, his 1997 publication covering new forms of communication within society. According to his study a culture which transmits its knowledge orally does not think in the same way as a writing-based culture. Today, this is compounded by a new method of knowledge transmission – digital technology. We communicate on the internet by combining oral and written forms. Thanks to this technology, still new on the scale of human history, the transmission of knowledge – that is, data – is continually expanding as in a interconnected matrix. If this space was constructed by each of us, then there is a fundamental question to be answered. How should we use the internet? This question covers many issues. Should the sharing of all types of data be authorised? Who can access which data and under which conditions? Who should have oversight and control over it? Academic publishing is structured on exclusivity. (…) publishing in prestigious venues was once an indication of one’s value as a scholar. (…) Today, it all but ensures that your writing will go unread. Digital thinking does not seem to work this way, however. On the internet, official knowledge is mixed up with the flux of global data and treated like any other information. Freedom is overcoming exclusivity. Most of the scientific journals are now available online. However, they exist purely as landing screens for purchase, and do not utilise extra functionalities of the internet such as discussion forums, links and direct access. It is also common practice for scientific commercial editors to give the location of PDF articles and ask for a large payment to access them. For example a six page article was offered for $39.95 in a journal edited by Elsevier. What we did not anticipate was another kind of resistance to the web, based not on an unfamiliarity with the digital realm or on Luddism but on the remarkable inertia of traditional academic methods and genres—the more subtle and widespread biases that hinder the academy’s adoption of new media. In the face of this academic resistance a group of researchers, mostly made up of those working on or with the internet, called for free availability to digital publications from publicly-funded scientific research. They called this the Open Access project. This was the background behind the guilty verdict handed down to Aaron Swartz by the American government in 2011. 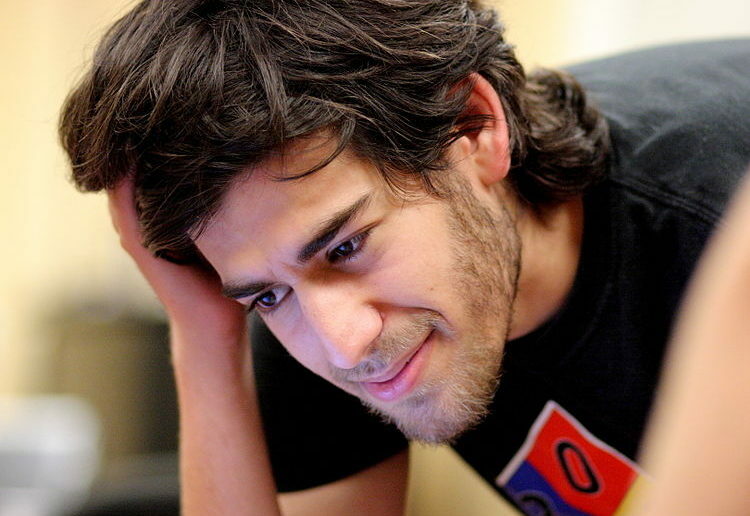 He was found guilty of downloading nearly 4.8 million scientific articles via an MIT server, articles which were being sold by editor JSTOR, and which Swartz could have put online to be available to anyone. However, the general public were only made aware of his actions to promote freedom of information following his suicide on January 11, 2013. This unleashed a wave of solidarity from many academics who have since freely distributed their scientific articles in PDF format. The initiative took hold with Redditthis proposal from Micah Allen, a Danish neuroscientist, on Twitter with hashtag #PDFTribute started by Eva Vivalt and Jessica Richman. According to digital thinking, a scientific article is written to be shared and debated over. By reproducing the traditional model, the commercial editor refuses a free access model, perpetuating a method unadapted to cyberspace. A method whereby information remains restricted to certain populations, a method with strict rules denying all communication between the researcher and the public. A method running the risk, in the first instance, of non-recognition by peers, of marginalisation at the core of their community or even legal proceedings. A very wide gap of communication, access, and dialogue exists between the knowledge scholars in the “west” produce about Eurasia, and what scholars “over there” produce. With one paper uploaded on Academia.edu, Sarah Kendzior helped Uzbek refugees find a safe haven abroad. With another upload she brought the world of contemporary Uzbek literature into the lives of Midwestern teens. In a period of rapid technological and social change the Public Domain fulfills an essential role in cultural participation and digital innovation, and therefore needs to be actively maintained. These partnerships see 10-year exclusivity granted to these private companies, for the commercialisation of this bodies of work in database form, from which they can have online access to Gallic, the digital library of the BNF. The principal buyers of access licences for this content will be public research organisations or university libraries, an absurd situation in which public servants find themselves constricted and forced, due to lack of alternatives, to buy digitised content which forms part of our shared cultural heritage. The agreements behind this private digitisation restrict access to knowledge which, because of its history, ought to belong to us all. This archival process and digital re-appropriation of cultural data, financed by rich institutions, transposes and imposes a way of exploiting the human mind on the public space that is the internet. It is not a matter here of misunderstanding the nature of the internet, but rather of a commercial stranglehold on part of our heritage. In other words, these privatised digitisations are actually taking control of a part of cyberspace and occupying an intellectual space that belongs to all mankind. The development of a digital way of thinking – with a strong emphasis on the public space – is challenged by the lack of imagination for innovation from both modern and traditional thinkers. However, something has changed since the dawn of the digital age. Today, it is the democratic intelligence that own the technological tools which give us access to human knowledge until now cloistered by an elite.